This fire pit is 26" in diameter. 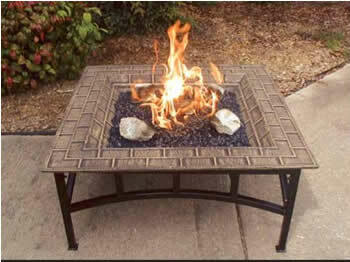 Comes complete with the fire pit, stainless steel burner, logs, lava rock, flex tube and connection hose with shut off valve and regulator. Comes configured from the factory to burn LP but it comes with a conversion kit to change over to Natural Gas.